This box contains 1 piece RIEDEL Veritas Champagne Wine Glass. 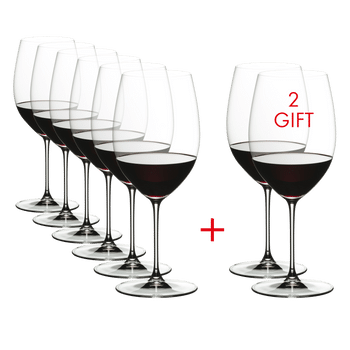 The unadorned machine-made Coupe glass of the light-weight glass collection RIEDEL Veritas distinguishes lighter, finer and being suitable for long term daily use at home. This shape is a classic with a unique style all its own. Perfect for presentation of sparkling wines and an alternative to the standard cocktail glass. RIEDEL VERITAS combines the charm of a handmade glass with the consistent accuracy only a machine made glass can achieve. All RIEDEL glasses are dishwasher safe.